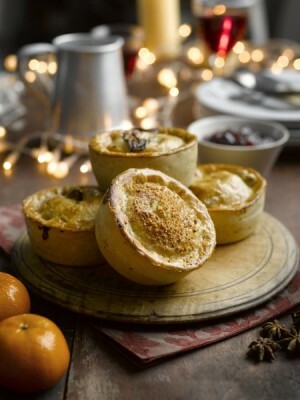 Pieminister festive pies available from November 9th! Not yet got into the Christmas spirit? Pieminister should be able to help. As of Wednesday, November 9th, you’ll be able to treat yourself to their range of three festive Christmas pies – Christingle, Deer Santa and Three Kings. The Three Kings pie will give you your Christmas turkey fix: British turkey breast, outdoor reared smoked bacon and a pork and herb stuffing topped with cranberries. Venison lovers will enjoy Deer Santa, which includes British venison, Cotechino sausage, outdoor reared smoked bacon, puy lentils, winter vegetables, juniper, thyme and port – and there’s also a vegetarian option in Christingle of honey roast parsnips, Cheddar and chestnuts in white port. 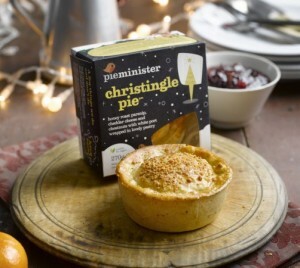 The festive pie range will be available until the New Year, and you’ll be able to buy them both in their Bristol shops and online.They’ll also be available to eat in or takeaway at Pieminister’s market stalls, as well as at pubs and cafes that serve the range.